EYES // Urban Decay Heavy Metal Glitter Liner in 'Amp'. Don't be scared of the slightly 'out there' blue, layering this on top of your normal black liner will really make the eyes pop and your makeup will match the fireworks! FACE & BODY // Topshop Glow Dust. A great one for adding a more subtle shimmer; simply dust this metallic copper onto the cheeks and collar bones for a gorgeous glow and some bonus definition. NAILS // Essie 'Summit Of Style'/Nails inc 'Crushed Diamonds'. You can't go wrong with a gold and silver combo on the nails to see in the New Year. Both of these polishes are completely gorgeous and give amazing pay off in one coat. LIPS // Givenchy Glitter Gloss. If you thought adding sparkle to the lips would be a tad tricky, think again. A dabble of this glittery gloss on top of a red lipstick will instantly take your look from now to wow. Think 'primary school disco' chic. This post not only marks the end of 2014, but also the end of Blogmas. I have somehow successfully managed to blog every day of December and I've very much loved doing it, despite photo editing and post drafting having to take place pretty much anywhere and everywhere! I really hope you've enjoyed reading my five minutes of festive ramble each day and that you're looking forward to all the new posts I have planned next year, even if they won't be quite in daily dosages (breathes a slight sigh of relief and grabs a glass of bubbly). Have a wonderful New Years Eve whatever you're up to! 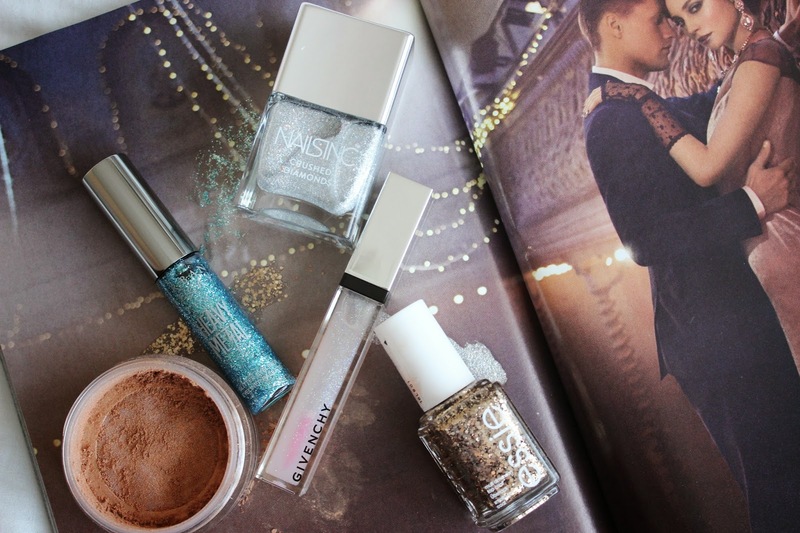 The Essie nail polishes look so beautiful, perfect for NYE! Happy New Year! love the essie polish! 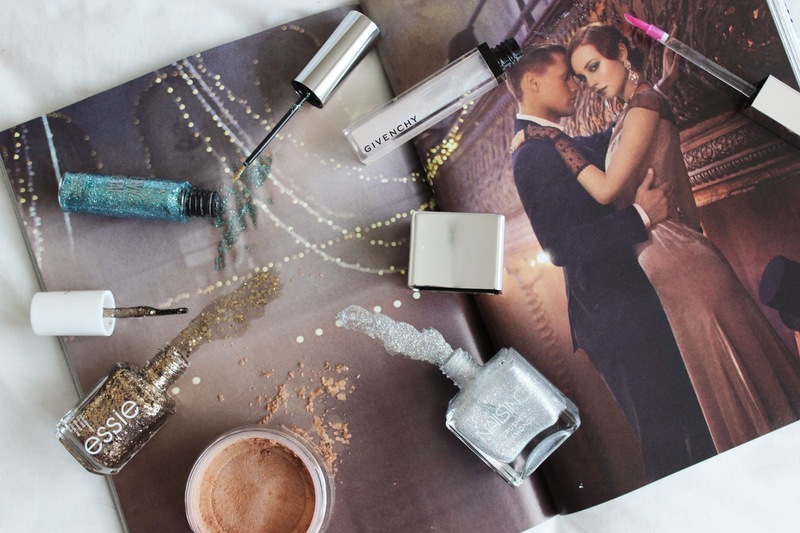 can't beat a bit of glitter on NYE! I love Glitter liners like that, especially during this time of year! I just adore the new Nails Inc bottles, they look so chic. Hope you had a wonderful NYE!